Most people don’t like newsletters. Even in a post-GDPR world, inboxes around the world are heaving with spammy emails we don’t even remember signing up for. 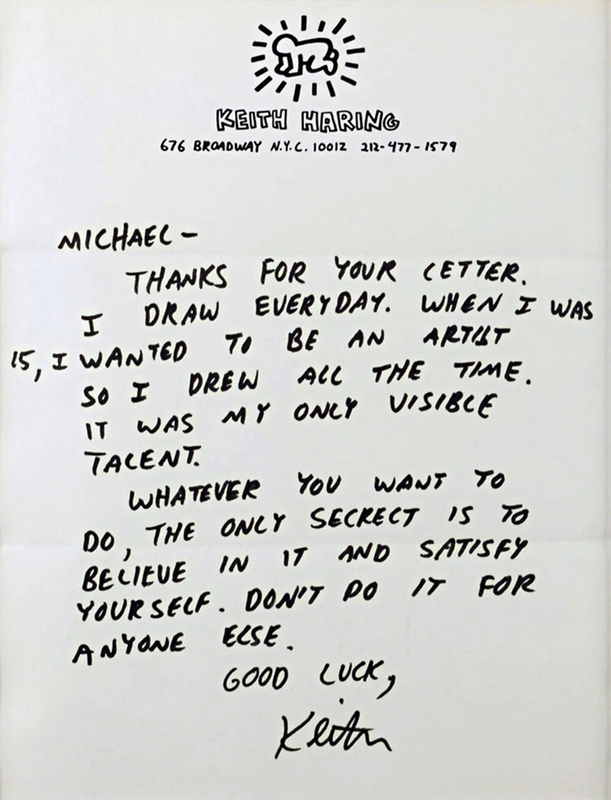 Despite this, having a newsletter is still seen as a must for most artists. Why? Because deep down, we all know it doesn’t have to be like this. I strongly encourage you to write a newsletter. Just please, please don’t write what most people think of when they hear the word ‘newsletter’. You’re an artist, that’s your job. Becoming a direct marketing specialist is not. 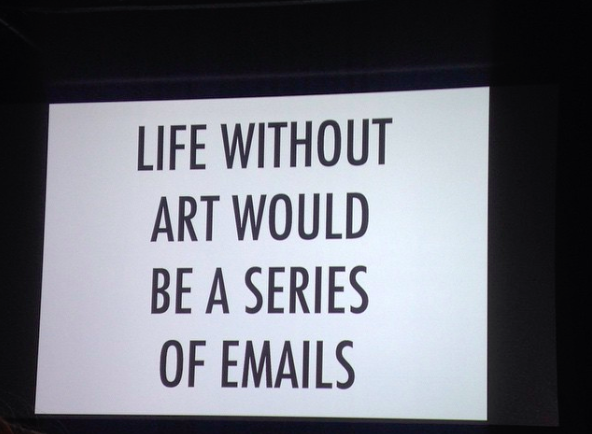 All I’m asking you to do is think creatively about this fact: you can and should send delightful emails to every single person who is interested in your work. The reason people don’t sign up to boring traditional newsletters and I don’t want you to start one of those, is because people assume (rightly) that they’ll be treated badly. In 2014, Taylor Swift released a viral video of herself giving fans individualised gifts she’d supposedly chosen by stalking them on Tumblr. Taylor Swift knows how to make her fans feel connected to her. Do you know what (I can only assume) Gareth the marketing intern is emailing people who sign up to her newsletter? Dry links to buy guitar pick shaped coasters, tumblers and laundry bags, featuring her album artwork. At best it’s really tacky, at worst it’s exploitative of her young fans. Most people just send a fairly boring and half-hearted update when they remember, listing what they’ve been doing/ are about to do, with a link to buy something. Yawn. What a wasted opportunity, why would people open that email if they follow you on social media? Don’t send fans of your work something Gareth the marketing intern could type up in 10 minutes. Use this opportunity to inspire and excite me as your fan with your work, your thoughts, your beliefs and ideas. Send me something only you can send me. If it helps, think of it as your fan club. 3. What Do I Mean By "Fan Club"? The Beatles secretary Freda Kelly used to oblige all kinds of requests from their fans, including asking Ringo Starr’s Mum to get him to sleep on a pillowcase a fan sent in. Most artists (thankfully) don’t have the kind of fans who are desperately in love with them: what your fans want is to make a connection with you. Read me your poetry, invite me to a secret album listening party, show me around your sculpture studio. Teach me a choreographic technique, learn your lines with me, ask me to write an alternative ending. 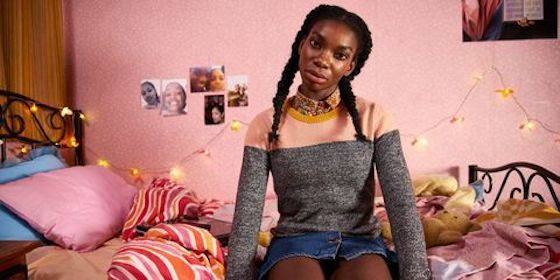 Let me read your script (via Michaela Coel). Share your dance warm up playlist, send me the photos you’d never publish, the best notes your editor ever gave you, your first rejection letter. Give me your stems or a score to play with, let me sit with you whilst you paint. Write to me as you would a friend. Bring me in to your world and inspire me. Myspace has been dead for a decade. Facebook closed my group when they changed functionality so I’d have to pay for ads. The Instagram algorithm is an ever diminishing game of returns and results in less than 4% of my website traffic. I still have the same email addresses I used to sign up for all of them. It’s the only method of digital communication which is delivered directly. If I had a busy day, your tweet or post may have gotten lost. I may not have opened your email, but I damn sure received it, and even if I just deleted it unopened I still saw the subject line. A tweet or a Facebook or Instagram post is public, it’s short, time limited, impersonal. An email can contain almost anything you want to send with no character limit or algorithm to think about, so you can be both imaginative and selective. If you want people to feel your work deeply, to understand it, to see themselves reflected in it, you have to design how your audience will experience your work. The simplest way to reach them, is email. Art is experienced more deeply with other people at the same time. Our emotions and reactions bounce off of each other like a room full of refracted mirrors. That’s why Beyonce (inspired by Michael Jackson) drops surprise albums that get us all talking at once. Have you thought about how you can bring people together to experience your work? Have you considered that your current and future fans want you to immerse them in your world? Most people learn about you and your work through the media. Through other people’s interpretations. Your newsletter is your chance to shape your own narrative on your own terms. Our job is to reimagine the newsletter as a space to share art directly with people all around the world. The challenge is to make people as excited to hear from you as they would be a pen pal or a long distance lover. The most important thing you can do for your career is to build trust in your artistry. That doesn’t mean everything you do must be perfect, but it should always be creative. It should always reflect who you are as an artist. What it should never be is boring, predictable and salesy. The more care you put in to building that trust, the more people will invest in you and your work. You can sign up for my newsletter Noteworthy below. I overthought my newsletter for months, so this reply was a huge relief. I wanted to write something people enjoy, like my favourite newsletters (Ann Friedman, Bim Adewunmi, Anna Meredith and the now defunct Nalden). You should definitely sign up for all of them. Drop a link to sign up for your newsletter in the comments below, if you’ve read this far I believe I’ll really enjoy reading it.